Make this sweet throwback treat right at home! In a bowl, mix milk, butter, sugars, honey, and vanilla until well combined. In a separate bowl, mix flour, baking soda, and salt. Add flour mixture to the wet ingredients, and combine well. Divide dough in half, flatten and shape into discs, wrap in plastic, and chill in fridge for at least 30 minutes. Preheat oven to 350F. Lay out some parchment paper on a flat surface. Working with one dough at a time, place the dough on the paper, another sheet of parchment paper, and roll the dough ¼ inch thick. Line a baking sheet with parchment paper. 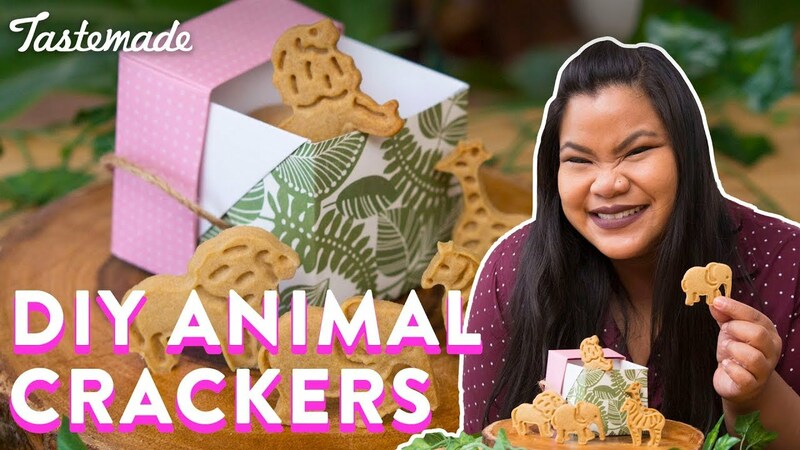 Dip animal cookie cutters in flour, cut out the cookies, and place on the lined sheet. Bake for 10-12 minutes or until lightly golden brown. Transfer the parchment sheet with the cookies onto a cooling rack for a few minutes. Repeat with other dough.